Scum Spoiler from Wreched Hive by The Combat Guild. I've got a capture scum deck pre Ancient Rivals that doesn't even have the big 4 (2x Masterful, 1 Spice, 1 Menagerie) and I haven't lost a game with it yet. I would call it 2nd tier personally, but maybe it's just that it's 2nd tier Scum. Mind if I ask what you're running? I'm still fiddling around with what capture-centric deck I'm gonna use when I finally get Ancient Rivals this week. Ok. Question about the Objective, bare with me we are about to get wacky here. Play Captured, react with the objective, then Chain Reaction the reaction, the react and copy the Chain Reaction. Is that 4 cards captured? Every set previewed for this cycle has been insane. Can't wait to see what the game is like once we have the whole thing. So that would work? If so thats INSANE! Another one is use the enhancement from this set. Chain Reaction the reaction, react with the objective to copy Chain Reaction and strip the deck of their 3 most powerful cards or 3 resources? Board wipes. Rebel tricks. Swarms. So this is what you were talking about Cory! Wowza! Scum is definitely high on the mountain. What a pod. Two great units, nine pips and a resource? Auto-include. Funny thing is, Scum has received so many "auto-include" pods that you can't include them all now. This is really cool and flavorful. I don't see a dud in the set, and the most situational cards both have more than one force icon for edge. I am not sure Heartless Tactics and I Don't Like You, Either will work together. Isn't the 2 damage the cost of the ability and if you don't pay the 2 damage you don't get the ability? Yeah, because it's a cost I don't think you can reduce it with HT. I kind of wanted to try Lady's Lesson and Ephant Mon because they were new to me and I like trying cards. So I just threw this together and was pleasantly surprised. The various enhancements (4 pilots, 2 Head of Security and Vibro Knife) make using Black Market Exchange really good to close out games or cover their board in tactics. The 7 vehicles make it easy to use a couple of times which is all you need. Sacrificing the vehicle Fett is on to Bail Out or stay on target him back is always fun. Have you considered the Grand Heist? It kind of fits with the pilot theme and to be honest I can't think of a time I've ever seen anyone on the forums use it. It'd be interesting. This is using what I know I have available. The big 4 are being run in some other decks but if I see a good combination I'll try it out. Kind of thought about using Jabba's Orders but haven't really decided if I want to or not. I decided against running two Crash also; I'm keeping one in because of a twist and the objective is a great way to seed cards. Can't wait for that new pod that CooMasterCoo spoiled to come out also. Can't wait to trigger Capture twice. Twice, thats cute. Im looking for ways to play it 4 times. This set looks absolutely fantastic. I think Dr. Evazan is going to be really strong. Blanking your own Ponda Baba to blank a LS main is the obvious play, but there are other great plays as well. Blank Freelance Hunter (already blank) to blank RS X-Wings, Guardians of Peace, or whatever. Heck, even blanking Xizor to blank Home One seems like a good call. Grand Hiest isn't a pilot set. It's an anti vehicle set and not a great one either as you can't get Capitals that easily. It's also a rush set. It has 3 cheap units, 2 of which aren't great for much else but attacking. I've played it. 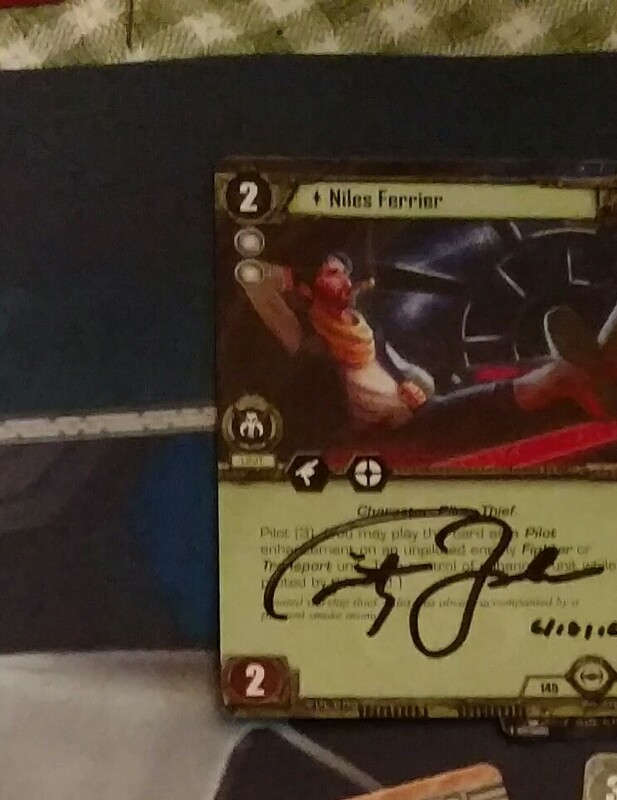 Niles is pretty solid with Slave 1 because when he dies he bounces. Even better with Jabba who can put him straight back. As for your deck. I don't really like either Crash or Slave Trade there. Most because I think limit your aggression. I like Moruth Doole for Slave 1 madness and would definitely consider Nar Shadda Drift for Tractor Beam nonsense. If you play 1 of each slave 1 you would have more tricks but I can definitely see the lure of trying to create the black blast version of the Moldy Crow. I also like that Dengar is going to single handedly bring Carbonite Transport back. It might not be enough but it's worth a try. It's Scum, it has some good cards. Thats probably enough. Honestly old Slave 1 is probably a fun pick with Dengar's set to set her up and capture that actually helps your board state. It's aggressive and can mess with capitals. It's a shame the old version cost 5 though. As for Niles, I mainly see him as an anti-RSX set. Salvage operation could be sweet vs capitals, but right now I think his set is too narrow for general play. Niles only grabs Transports and fighters. Plus, new Wedge and Porkins incoming. Surely, somebody will give Niles a second chance... probably fail miserably and bury him once again. Could the same ever be said about Asteroid Pursuit?